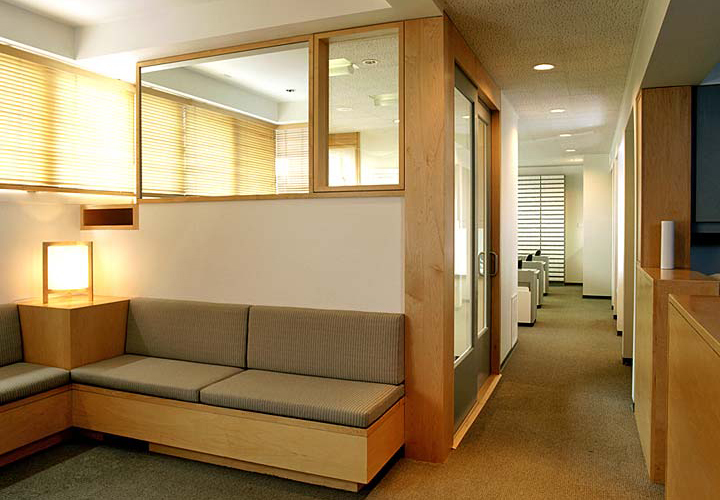 This small office for 2 orthodontists is located in a mid-century building in Presidio Heights. The interplay of reflection and transparency above the reception seating helps to expand and enliven the small space at the entry. Simple, off-the-shelf materials were selected and field-built details were designed for an economical budget.